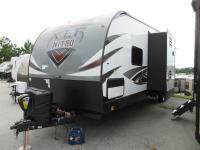 Take this XLR Nitro toy hauler travel trailer out on your next toy hauling adventure. You will love having an 8' Zero Gravity ramp door for easy loading and unloading. 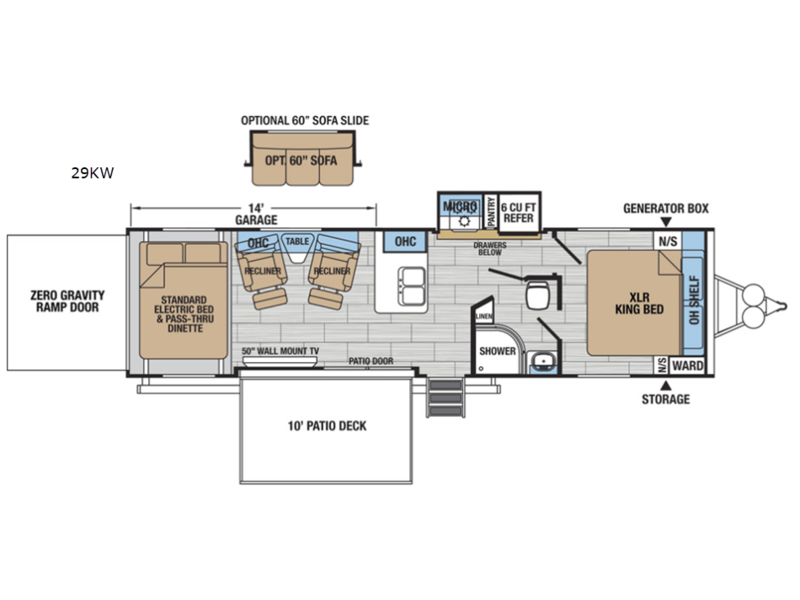 The garage area gives you around 14' for storing your toys while you are on the road and once everything is unloaded you have a pass-thru dinette and an electric bed, two recliners and a table to use! The 10' patio will be great for entertaining those guests on a nice sunshiny day. Once everyone is ready for sleep after a long day of fun, there is a king bed in the private front bedroom for mom and dad, and the electric bed comes down and you can fold down the dinette for a sleeping space or two. There are plenty of interior, exterior, and construction features that set apart these XLR Nitro toy hauler fifth wheel and travel trailers by Forest River RV from the rest. All of the toy haulers are built with additional height and width giving you extra room for hauling your toys. You have 5,000 lb cargo tie-downs to keep your toys from moving around while you are on the road. The exterior construction has got you covered as well. There are EZ Lube Dexter axles and fiberglass front caps. Some models even have the V-nose front caps giving you more of an aerodynamic unit, which allows you to get better gas mileage because it doesn’t cause as much drag while you are on the road. 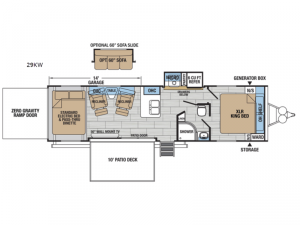 All models on the interior have stainless steel appliances, three decor colors to choose from, and plenty of space for your family and then some.